Small diving duck with roundish head but fairly steep forehead. Crest at nape, long and drooping in male, minute in female. Bill blue-grey. Male is black and white with black upperparts and purple green head. 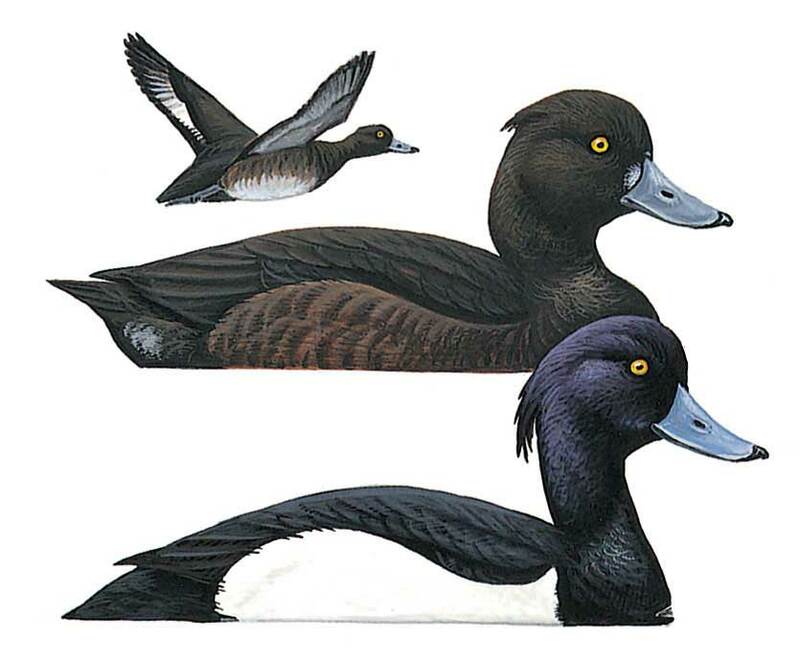 Female and eclipse male have brownish sides to body, female sometimes with whitish band around base of bill. In rapid flight, has conspicuous white wing-bar, almost the full length of wing. Gregarious in winter.